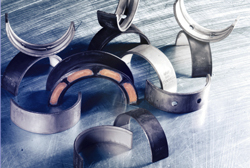 We are Manufactures Representatives/Agents which entails the representation of companies that manufacture automotive components which include Sealing components (gaskets, bolts, seals etc. 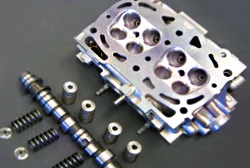 ), Crankshafts, Cylinder heads, Pre-combustion chambers, Camshafts, Lifters, Water pumps, Electric Fuel pumps, Air, Cabin, Fuel, Oil Filters (Passenger, Heavy Duty, Industrial, Hydraulic), Rings, Intake and exhaust valves and guides, Sealants, Transmission and axle components, driveshaft components, Brake Booster & Regulators, Brake Disks sensors & hose, Clutch Master & Slave Cylinder covering the passenger, heavy duty, off-highway, and agricultural sectors. The appointed distributors within the SA Aftermarket industry will in turn distribute the various product lines for the factories such as Victor Reinz, AMC, Sanz, Spicer, Airtex, Wix Filters, FTE Automotive, Hastings Manufacturing, Osvat.